UPDATE: There are still spots open for this. If you are within driving distance of Pittsburgh, please join us! 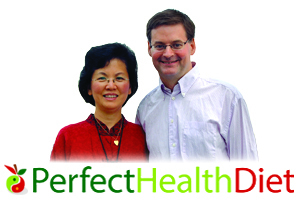 I’m excited to announce a special event: the Perfect Health Seminar, to be held on Sunday, July 20, in Pittsburgh from 8:30 am to 5 pm. This is a special one-day seminar offered jointly by me, Sweat & Butter, and R.A.W. Training. It distills the essence of the Perfect Health diet and lifestyle into a single 9 hour course. The curriculum is drawn from the Perfect Health Retreats. The full program is listed on the Seminar page and has four parts: Knowledge, Movement, Food, Change. Knowledge: I’ll speak four times, about Diet, Nutrition, Lifestyle, and Exercise. The goal of each talk is to give the essence of our advice in each category. Movement: We have five movement sessions spread throughout the day. They cover the five movement modalities of the Perfect Health Retreat: foundations (posture, breathing, and everyday movements), cardiorespiratory fitness, strength, mobility, and “night movement” (relaxation, stress relief, meditation, preparation for sleep). Food: We have a class in meal design and a “design your own” PHD lunch. Change: This is the specialty of our health coaches, Stephanie Telep and Vanessa Alberts. In addition to advice and opportunities for followup health coaching, we’ll introduce some supportive technology, developed by Dan’s Plan but rebranded as “HumanOS”, to help maintain lasting lifestyle changes. I strongly believe in this curriculum. I believe that implementing the steps we’ll describe on July 20 will add years to almost everyone’s life. 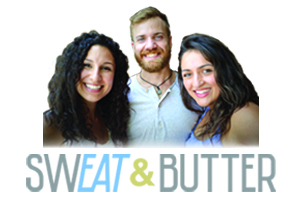 Nathan Riley, M.D., Stephanie, and Vanessa are the leaders of Sweat & Butter, a health coaching firm. Nathan and I met at the Ancestral Health Symposium last year and started talking about how we could work together to bring the benefits of ancestral health to large numbers of people. Many of our ideas revolved around improving the existing health care delivery system – helping corporations improve the health of employees while reducing their health care costs; or helping medical doctors and health coaches integrate PHD advice into their practices. We soon realized that whatever we did, a one-day training session with subsequent support from technology and health coaches would be a useful program for learning and adopting a new lifestyle. The Perfect Health Seminar is that piece of the puzzle. The July 20 event in Pittsburgh is unique. It may be the only open-to-the-public, consumer-facing event we ever do. If you want to get the essential PHD advice from me, Shou-Ching, and other experts in an affordable single-day session, this is the time to do it. Our hosts, R.A.W. Training, are located at 2330 Wildwood Road, Hampton Township, PA 15101, near Pittsburgh off exit 39 of the Pennsylvania Turnpike. A full schedule is on the Seminar page. And here is a printable flyer. come to the SF bay area then i’d join! Thank you! Wish we could see you.